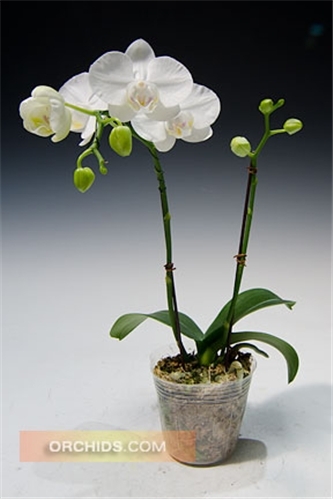 From the famous Tying Shin Nursery in Taiwan, this sibbing of two compact strains of Phal. aphrodite have produced an extremely compact form of this pristine white species. In addition to a smaller leaf span and more compact spike height, the full form flowers present themselves on gracefully cascading spikes. 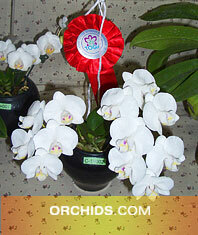 Perfect for the space-challenged grower, consistently producing quality Phal. aphrodite flowers with a much smaller footprint. Highly Recommended !